You left Winnipeg to dance with Smuin Ballet for two years. What did you gain from your time there? I started in RWB's school and was in the company for 10 years before I left. Going to Smuin Ballet, I could start over; there were unbiased eyes looking at me. It's unranked, and the rep definitely put me in my place now and then! I came back to RWB with a fresh outlook. Why did you return to RWB? I felt like I hadn't fulfilled that principal opportunity when it was given to me. I came back and the first thing I did was Giselle, and then we went on a four-week tour to Europe. It was wonderful. What aspect of your dancing have you worked particularly hard for? Developing my artistry. I'm a bit of a technique nut. But I'm at a point in my career where I don't need to prove anything, and I want to connect with my audience. I try to come up with facial expressions or movements for different scenarios, and in rehearsal I focus on being in the story and reacting to my partner. 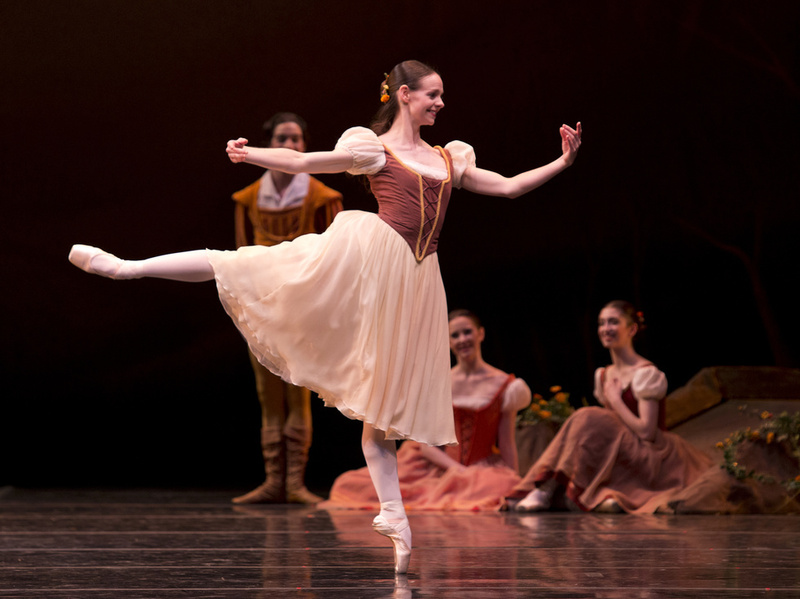 Is there something you do really well outside of ballet? I like to cook. I love golfing and swimming. Some of us RWB dancers go paintballing at the beginning of every season together—I'm a sharpshooter! And you're a new mom! What has that been like? Wonderful. I'm definitely in the mentality of "Don't sweat the small stuff," because there are more important things in life. I feel like my body is slowly getting put back together, and I'm hoping that I'm good to go in February for Romeo and Juliet. Do you have advice for up-and-coming dancers? Really listen to the music. You could be doing the best thing, but if you're dancing off the music, no one cares. Musicality is key.